12 pc. #1 Pod Add-On! 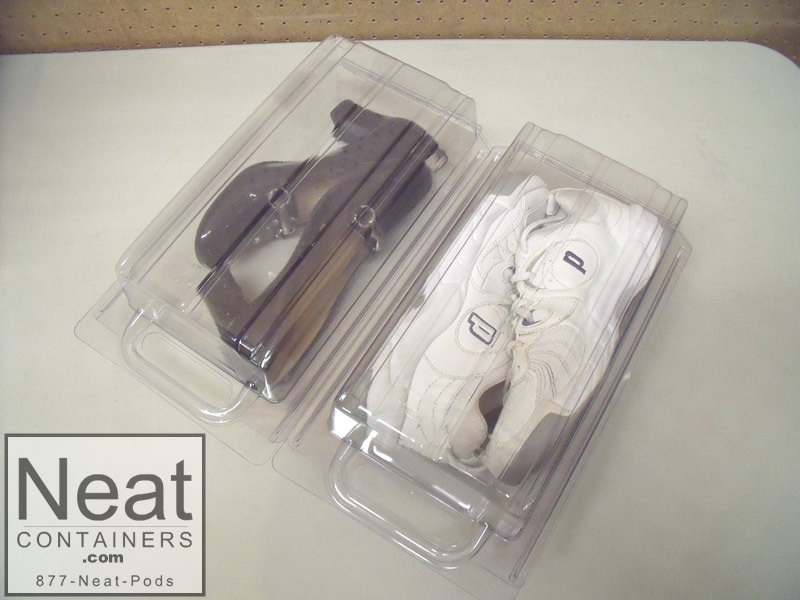 Add on to any kit with our 12 pc #1 shoe box add-on package. Attention men! While pair of mens' size 10 1/2 shoes can fit in this size pod, it's a tight fit and may be good when space requirements are trump. Otherwise, we recommend the #4: click here... 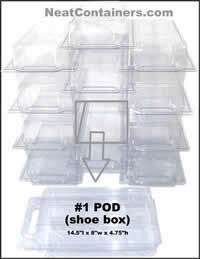 Check out the 12" x 12" #4 pod. I purchased the 30pc. shoe and boot kit a few months ago, and absolutely love it! 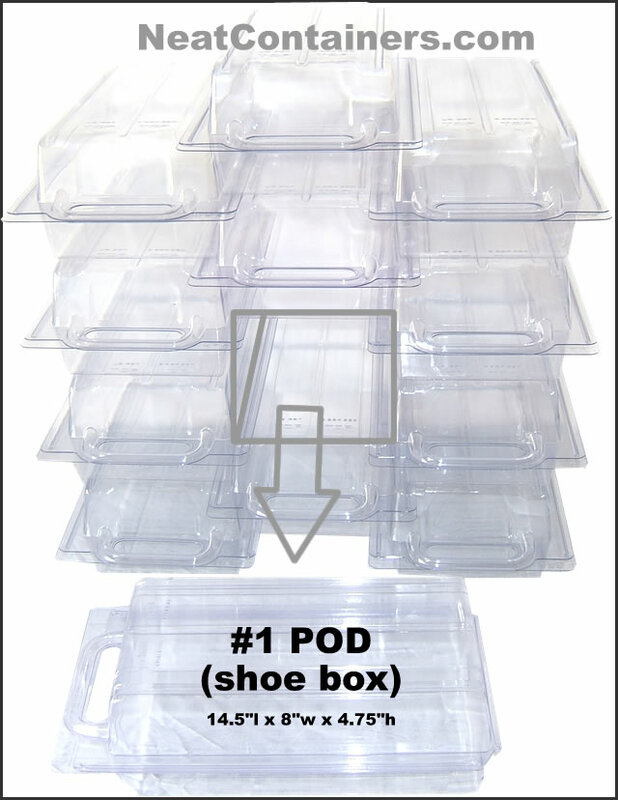 This has been the first organizing concept that has actually worked for me, and I am planning to add to it! Wonderful! Love it! 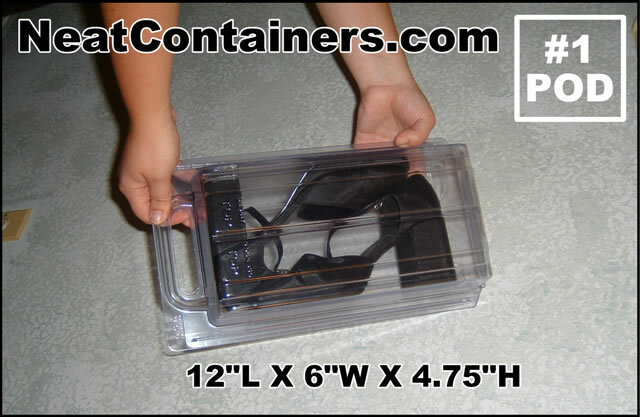 Thank you so much Ron and all of the folk who work for Neat Containers!.. I purchased the 30pc. 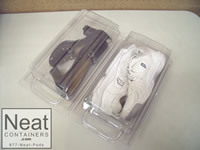 shoe and boot kit a few months ago, an ..